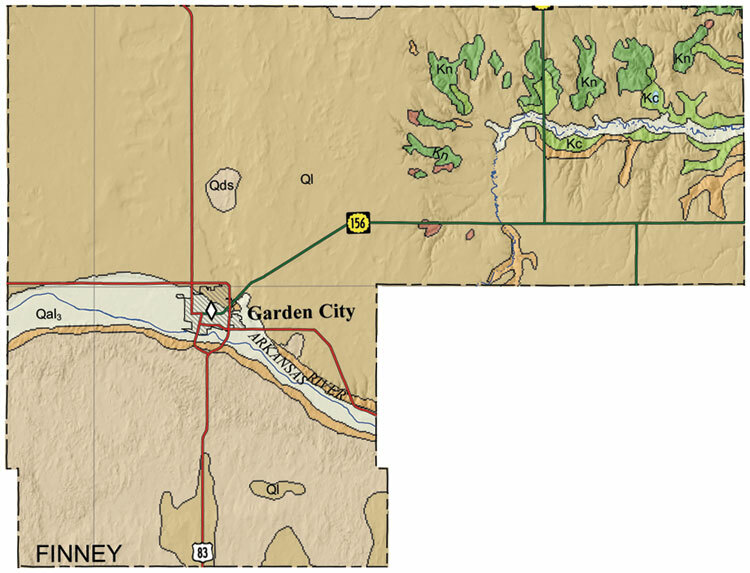 Copies of the Finney County map are available from the Kansas Geological Survey at 1930 Constant Ave., Lawrence, KS 66047-3724 (phone 785-864-3965, email pubsales@kgs.ku.edu) and at 4150 W. Monroe St., Wichita, KS, 67209-2640 (phone 316-943-2343, email wwsl@kgs.ku.edu). The cost is $15 plus shipping and handling. Inquire about shipping and handling charges and, for Kansas residents, sales tax.